As we approach the midway point in this year’s legislative session in Annapolis, it should come as no surprise that marijuana is trending heavily on the floor. Representative Glenn of Baltimore planned to introduce the Maryland Medical Marijuana Act to the House Judiciary Committee. This is the same bill that lost steam during the legislative gauntlet last winter. The bill would allow the state’s Department of Health and Mental Hygiene to establish centers for marijuana distribution for patients with a medical necessity for the drug, provided they are under the continuous care of a doctor. Ms. Glenn is quoted as saying that “people are suffering everyday in the state of Maryland, and they are being subjected to going out on the streets for the relief we should be providing.” In addition to suffering unnecessary pain and anguish, medical marijuana users also face arrest and prosecution from State’s Attorneys and Judges who naively believe marijuana is a dangerous drug with no legitimate benefits. This type of archaic thinking is especially present in the more rural areas of the state, and in stricter jurisdictions such as Harford County and Worchester County. 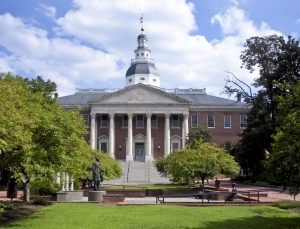 A hearing for the Maryland Medical Marijuana Act has not been scheduled to date, but when the time comes, the act is certain to create a buzz in our state capital. Although Governor O’Malley stated publically last year that he would veto any medical use laws, he has not reiterated this stance in 2013 as of yet, and supporters of the bill remain cautiously optimistic that the act will eventually pass. Another bill that is certain to create a buzz on the floor is a proposed ban against synthetic marijuana. This substance has become increasingly controversial as thousands of emergency calls are placed each year to poison control or the police as a result of ingesting the chemicals it contains. Although various cities such as Frederick have already passed ordinances banning the sale of the popular pot alternative, there are no county or state laws that address the substance commonly known as spice. The federal government has banned certain chemicals sound in the original synthetic marijuana blends, but those chemicals have frequently been modified and tweaked to avoid the laws. But in reality, only federal law enforcement officers and assistant U.S. attorneys have the absolute power to make arrests and prosecute these cases. A possible state law would list the specific chemicals in the state code, so that cops and state prosecutors would be able handle these types of cases without any confusion created by conflicting laws. Politicians and health officials alike have frequently spoken out about the detrimental effects of synthetic marijuana, and now it seems that the 2013 legislative session will likely bring a statewide ban to the governor’s desk. The Baltimore Criminal Defense Lawyer Blog will keep close tabs on the 2013 legislative session, and will make additional posts as more news comes out of Annapolis in the coming weeks. 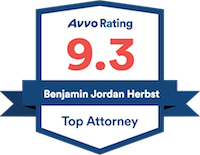 For questions about a pending criminal case or investigation in Maryland, contact Benjamin Herbst anytime for a free consultation.